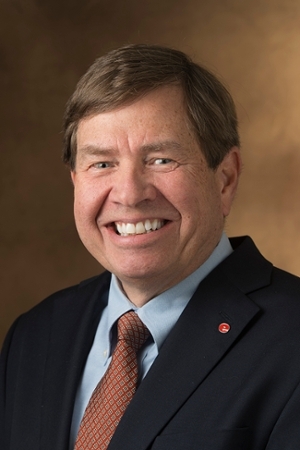 Southern Illinois University Edwardsville Interim Chancellor Stephen Hansen has announced the creation of the Concept Commercialization Award to support University innovation and encourage industry investment. The University Park Board of Trustees provided funding to develop the award, keeping in the spirit of University Park’s mission. “The purpose of the Concept Commercialization Award is to stimulate interest in and involvement with intellectual property development and commercialization in order to promote the public health, safety and welfare of the community, and the economic welfare of the University,” said Hansen. The award, valued at up to $15,000, will support the inventions and discoveries of SIUE faculty, staff and students. “It is in the public’s best interest, and speaks to their expected return on investment, that the University engage in moving inventions and discoveries developed at SIUE to the marketplace,” Hansen added. According to Jerry Weinberg, PhD, associate provost for research and dean of the SIUE Graduate School, the award will bridge the so-called “valley of death,” the funding gap between research results and marketable products. “The Concept Commercialization Award is an exciting opportunity for SIUE faculty, staff and student inventors to fill that gap by providing funds to create proof-of-concept prototypes or move a research result directly into commercialization,” Weinberg said. The Award is primarily intended for patentable inventions or discoveries, but can also apply to trade secrets and copyrightable materials. Awards will be given annually based on funding availability.